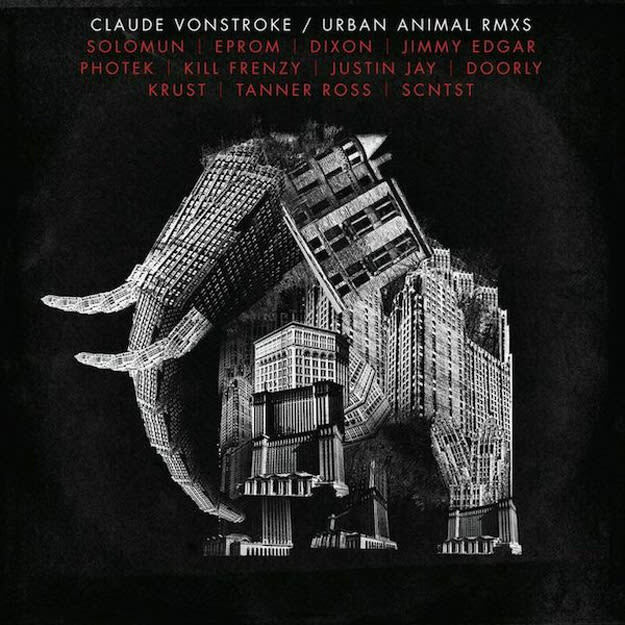 Combining the vibes of funky house and heavy bass like few others in dance music, producer, DJ and dirtybird Records boss Claude VonStroke released artist album Urban Animal last September to widespread acclaim. Reflecting more of his breadth of creative influences that introduced him to dance music than ever before, the soul-searching did him well with a critically respected release. Now, seven months later, he announces May 5 as the date of release for the Urban Animal remix LP. Not just tremendous music, this release is an interplay of creativity being shared between artist and muse, as well as between an established and developing producers. On a preview listen, the true winners are (besides from VonStroke himself remixing his own "Can&apos;t Wait") the drum and bass remixes of "Oakland Rope" by VonStroke&apos;s production inspirations Photek and Krust. Both dive into the sonic depths and thrash them about with furious, yet melodic intent. But it&apos;s all in the method of how the track gets there - Photek&apos;s remix dives in like Michael Phelps focused at going the length of the pool, whereas Krust&apos;s is a majestic build, like an Olympic diver, but once in the deep, achieving a similar, yet different goal than Photek. From established names that VonStroke respects like Jimmy Edgar, Doorly (his Green Velvet-inspired take on "The Clapping Track" delivers), Solomun, and Tanner Ross, to evolving up-and-comers Justin Jay, SCNTST, and Eprom (whose remix of "Green Jelly" can only be described as a heavy, progressive and trapped-out mindblower), the release showcases the scope and depth of bass music (from techno to beyond) in a most masterful manner.